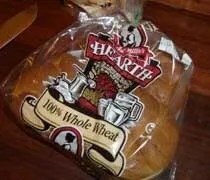 At one time, Kroger sold bread, under their own label, that was free of HFCS. It might have been sugar-free altogether but I don’t remember. Since I’m not eating bread these days, I haven’t looked for it lately. YAY! Thanks, Ang! I will be finding that soon. 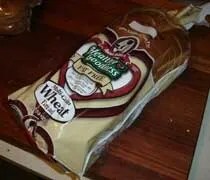 All I buy these days in Aunt Millie whole grain white bread! It’s a compromise between Ryan and I…he prefers white and I prefer whole grain or wheat. Meijer has it often for $2, and I think the bakery outlet on Miller Road carries it as well. I was the same way. I didn’t like any of the whole grain or wheat bread my girlfriend wanted. I just wanted the cheap white bread from Wal-Mart. I really like Aunt Millie’s though. Glad I found it!